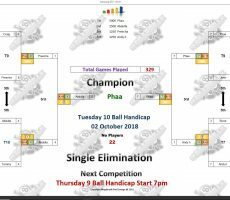 TUESDAY 10 BALL – 2nd OCTOBER : PHAA WINS. 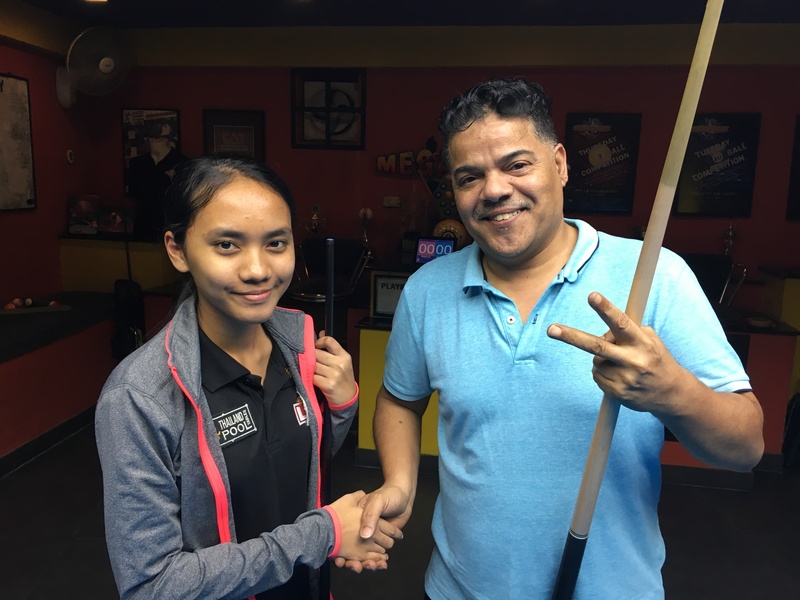 A superb performance on Tuesday night from Thailand’s best female pool player, Phaa Hmaunpao saw her become our 10 Ball Champion for this week. 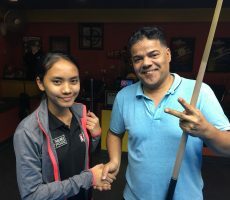 At the tender age of 15 she played consistently well all night long to remain undefeated through six consecutive matches and pocket the 1st Prize of 5000 baht. 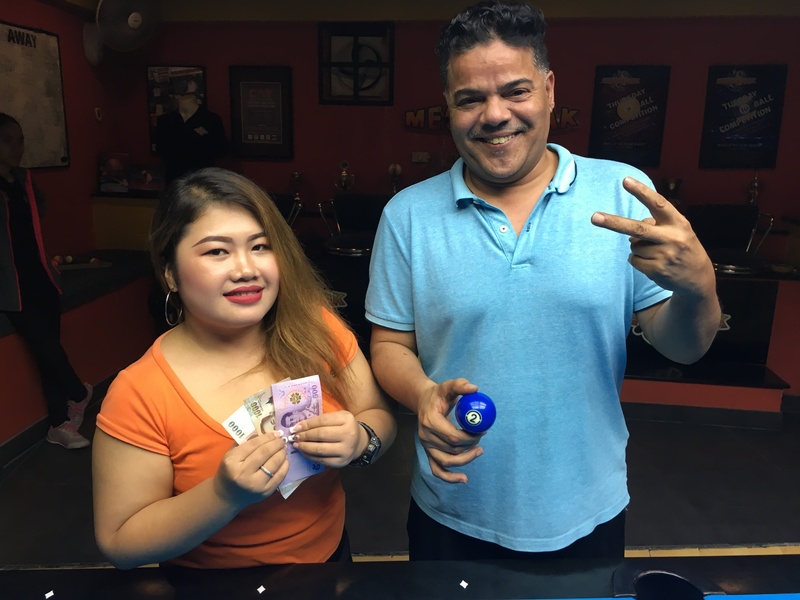 From a total entry of 22 players she beat Qatar’s Abdulah Ahmad in the final by 7 racks to 2 (race 7-4) to claim a well deserved victory. 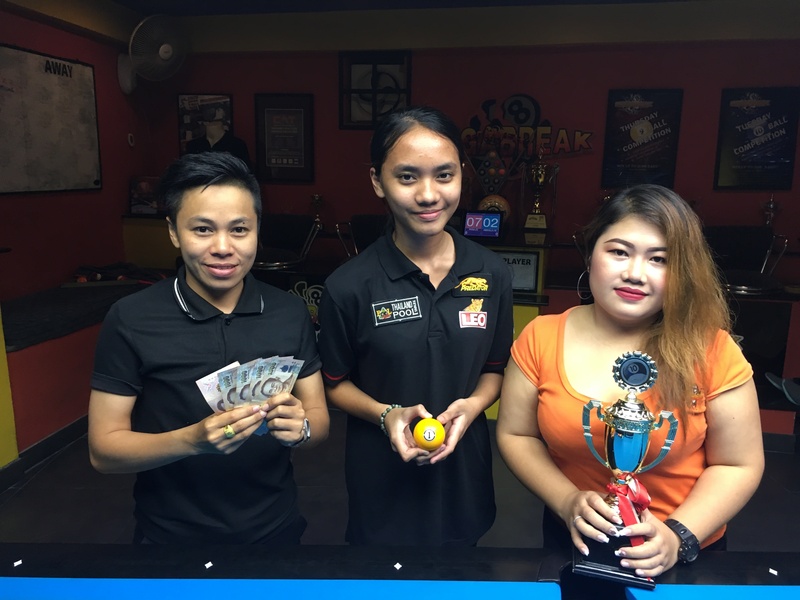 Abdulah reached his 4th final in the last two weeks before finding Phaa too hot to handle, and had to settle for 2500 baht in 2nd Place. 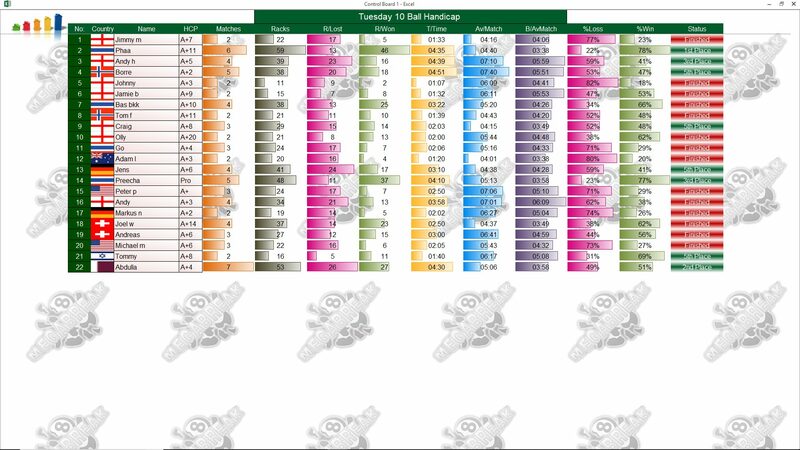 His handicap finally moves up to A+5 as a result. 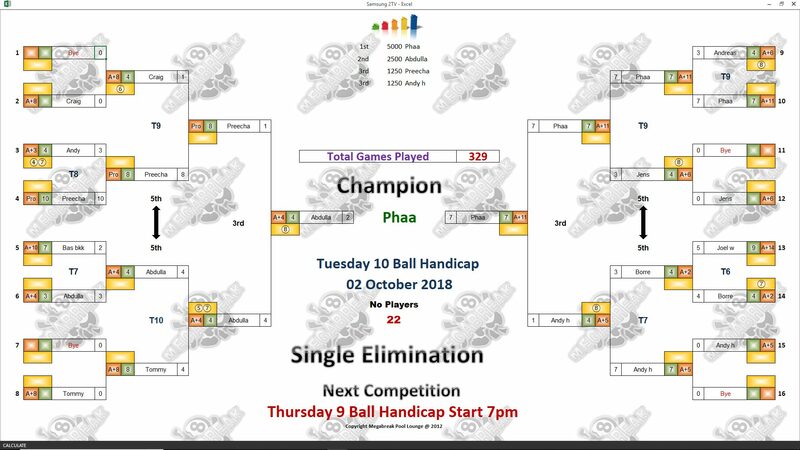 The other money winners on the evening were Phaa’s fellow Thai National 9 Ball Champion for this year, Preecha, and England’s Andy Hall, who each took home 1250 baht for reaching the semi-finals. 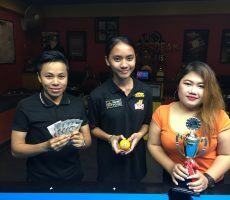 Champion : Phaa (A+11) – 5000 baht. Runner-Up : Abdulah (A+4) – 2500 baht. 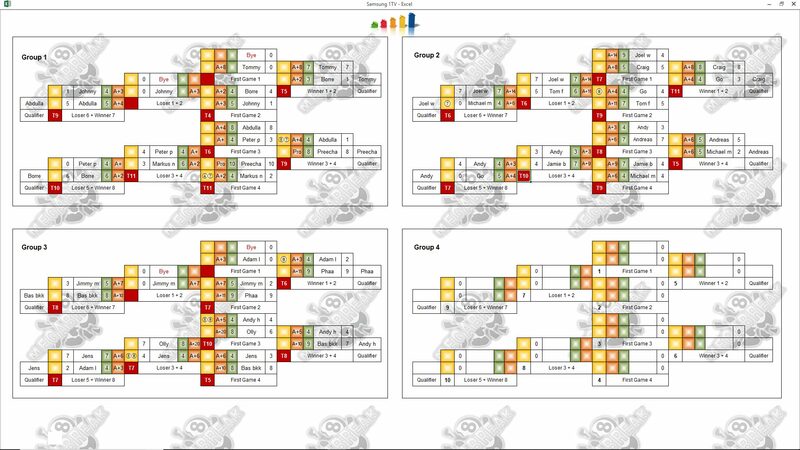 Semi-finals : Preecha (Pro) and Andy (A+5) – 1250 baht each. The Player Auction Prize Pot totalled 26100 baht and was won by Barrie Sherman. 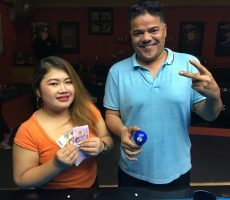 He bought our champion for 1400 baht, and bagged all of the 1st Payout of 10100. 1st (40%) : Barrie (Phaa) – 10100 baht. 2nd (30%) : Abdulah (Himself) – 8000 baht. Equal 3rd (15%) : Gan (Preecha) and Andy (Himself) – 4000 baht each.